Surgeons and surgical teams are known for their ability to perform with accuracy under immense pressure. They need acute responsiveness to complete their day-to-day work, and establishing such a refined sense of touch takes years of education and training. Timing and efficiency are critical to the success of many procedures, but practicing first is not always an option. With KindHeart surgical simulators, surgical teams can learn to perform at even higher levels, while gaining insight into what a patient experiences during the process. With the help of ATI’s Force/Torque (F/T) sensors, KindHeart’s surgical simulation devices are able to capture feedback from forces exerted on a patient during surgery. These high-tech sensored simulators feature realistic tissue that is perfused with a blood-like substance, a heartbeat, and other vital signs that must be monitored during procedures. These simulators give real tool-to-tissue experience for surgeons-in-training while providing continuous feedback. They can even simulate an adverse event such as a heart attack during a procedure. This is an excellent teaching model as surgeons can improve their ability to react in real-time, plus the procedure can be interrupted at any time without putting patients at risk. The look, feel, and behavior of KindHeart’s devices offer surgeons, teams, and even surgical robots, a highly authentic hands-on training experience. By utilizing two differently sized sensors, the device is able to give a comprehensive look at the biomechanical effects of surgery. The forces upon the body as the tool enters are greater and require a sensor with a larger range, while contact at the focal point will produce forces that are best captured with a smaller, fine resolution sensor. ATI’s F/T sensor family features a wide selection of sensor sizes to accommodate the different levels of forces being measured. In this application, the Delta and Mini40 sensors are IP65 rated to guard against dust and liquid spray, or in this instance, fluids from simulated surgery. The high accuracy and fine resolution of ATI’s Delta and Mini40 F/T sensors are ideal for measuring the forces and torques produced during surgery and enable rich, high-quality data to be gathered directly from the process. For the healthcare professionals, utilizing KindHeart sensored simulators will bring them closer to understanding exactly what patients experience during a procedure. They can help to better prepare patients for surgery and help them understand what to expect in terms of post-operative pain and recovery time. These teams will develop better ergonomics and reaction time, which ultimately make for faster, more efficient procedures. From a practical standpoint, the data from simulated surgeries can be used to standardize procedures from one patient to the next, and define best practices for adjusting methods and techniques for different types of patients. For healthcare patients, surgical training with KindHeart devices provides a higher level of accuracy and efficiency of surgery. It means patients can expect less discomfort during and after surgery, plus better post-operative care and recovery recommendations. As robotic surgeries become more popular, KindHeart simulators become an essential tool for increasing the proficiency of robotic surgeries, which increases their profitability as well. In order to accomplish this, surgical robots need experience just like their human counterparts. 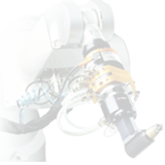 KindHeart’s devices are reusable and thus provide a sustainable training option for surgical robots. The body of the patient-mannequin, with the F/T sensors installed, is a permanent fixture, but the tissue cartridges are replaceable. Ultimately, KindHeart sees great potential for their products in this capacity. Fortunately, ATI’s F/T sensors are robust and designed for repeat measurements over millions of cycles. They have high overload protection to complement their superior accuracy, stiffness, and resolution, which means the teams using KindHeart’s sensored simulators can have confidence that their system will work reliably for years to come. KindHeart developed a realistic model for surgical training that emulates human behavior and offers users rich experience; ATI’s F/T sensors provide those models with the ability to feel. 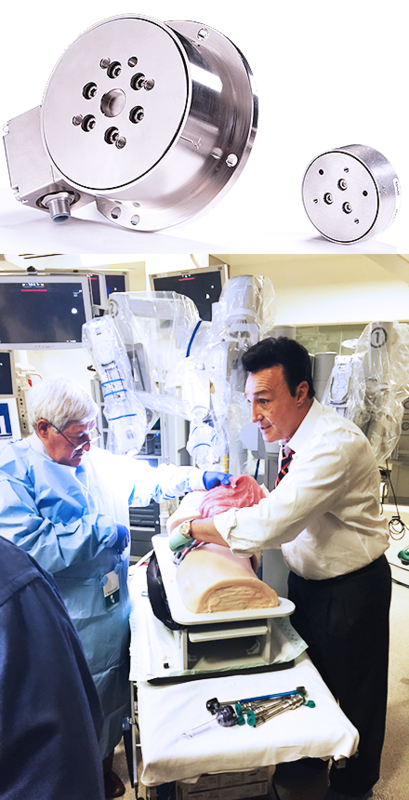 With its diverse capabilities and sustainability, the sensored simulator is the ideal tool to improve proficiency, ergonomics, and best practices for surgeons, teams, and surgical robots. For more information about ATI's F/T Sensors, click here. To learn more about KindHeart, click here. KindHeart's sensored surgical simulator, Section view of KindHeart's device. 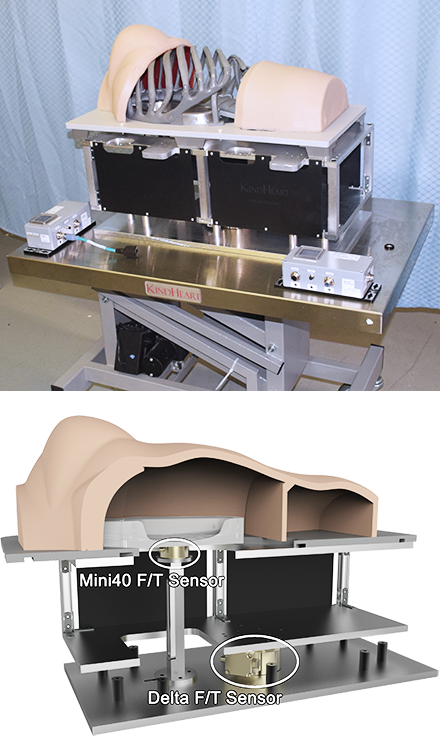 ATI Delta and Mini40 model F/T sensors, KindHeart device used in surgical simulation.